From your desk to your pocket- Brands shift from websites to apps! If you thought that “world is getting closer” only meant communication getting fast and easy, you are wrong! You must have noticed how almost all your transactions are now done from phone. Be it paying your bills or booking a taxi, your phone has it all. Then why should shopping be left behind? According to Google India, number of online shoppers is going to cross 100 million by the end of 2016. With growing number of smartphone users in India and constant bombarding of ads creating distraction; it’s hard for customers to focus on one brand and the only option for brands is to be as closest to the customers as possible. Thus, most of the ecommerce sites are literally on customers’ fingertips with their native apps. Along with creating apps for their brands, most of them are also planning to shut their websites completely. (Myntra has already shut down the website). Why have apps become so inescapable now? Why is it that players in the ecommerce sector can do away with their websites but compulsorily need to have apps? Let’s take a closer look at this shift. The best part about selling your brands on app is you can customize them by tracking the customer data including their likes and dislikes. This gives an edge over website. New customers always have the fear in mind about online payment. However with apps, it’s an easy automated process. Once you fill in all the details, it either gives you an OTP or a pre-set password. That becomes easy for customers. Once the brand knows the buying patterns of the customers, they can notify you couple of days in advance. This goes best for groceries or daily use products. However, on website, you can notify only through a mail which usually ends up in spam. Whereas a mobile notification is right there on your phone screen. Generally we add products to the cart and wait for the prices to go down so that we can buy them, right? Apps can send reminders to the customers about the recent offers and also introduce them to new products/ collection. For example, a travel- booking app can remind you about the date/ timing of your journey in advance through a pop-up. Conventionally, online shopping was a personal and isolated experience. However, Flipkart’s recent social feature called Ping enables you to chat on a messenger like window while browsing the products. Now you can show the product to our friends and discuss before buying; without taking a screenshot. Maintaining a website requires more efforts than app. Developing a website needs more infrastructure and a full-time team for maintaining it. Apart from that, websites need a lot of dedicated efforts to cut the clutter and get it ranked on search engines. Conversion rates are higher on app than website. 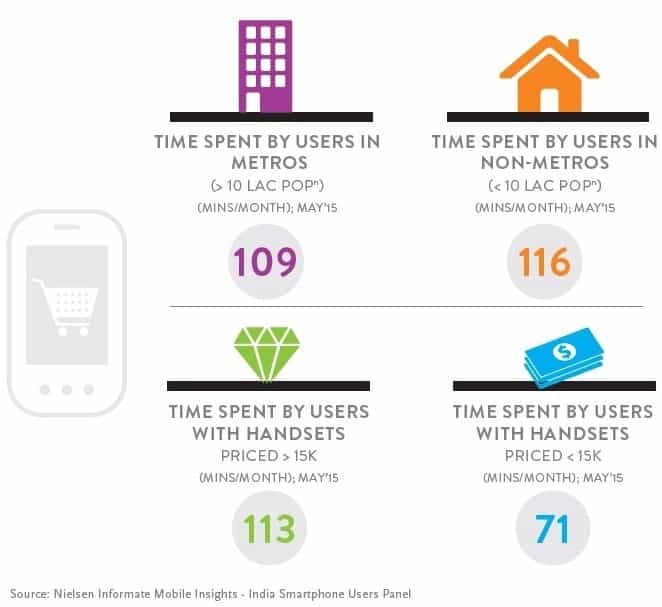 Myntra had its 90% traffic and 70% sales from app before turning into app-only platform. Flipkart gets 75% traffic from mobile app. 99% Ola rides are booked from its app. Shifting user from one-time buy model to subscription-based model. Customers who buy from website usually end up there through a search engine. However, apps can create a complete profile of the customer and make them subscribe to a certain buying pattern. Cookies are the pieces of information that helps to build an identikit of visitors on a particular website. This is not private and competitors can use the information easily. 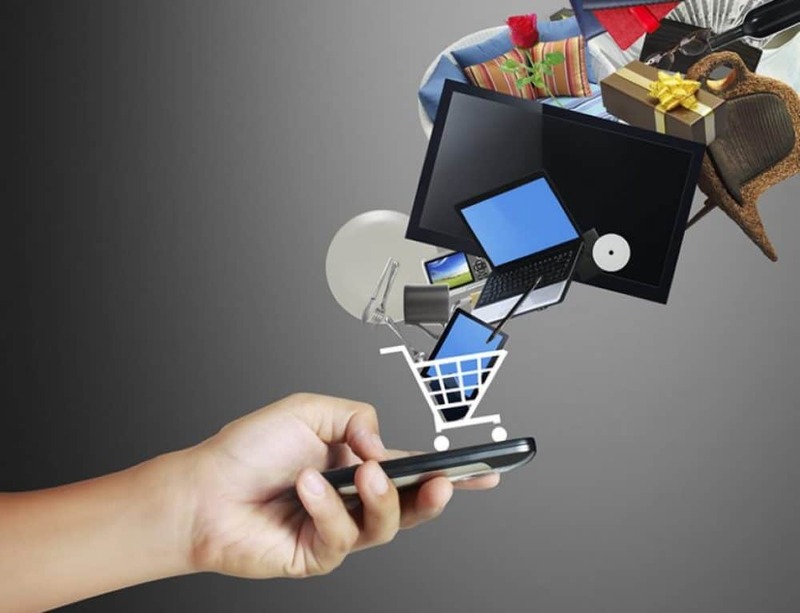 However, with apps, there is no such issue and thus, ecommerce brands are preferring apps. Is going ‘app-only’ a wise decision in India? Myntra reported a 10% drop in sales after they shut their website. What might be the reason? In a country like India where basic infrastructure is still struggling to be competent, are brands taking a wise decisions by going app-only?. According to study by Ericsson, 48% of people can’t find any difference between 2g and 3g services. More than half of the Indian smartphone users still use 2g network. Most of them use it for instant messaging (Whatsapp) and social networking (Facebook) Thus, using an app seems like a tough task. Another issue is of the smartphone devices. Many a time people do not have enough storage in their phones to download different apps for different brands. Thus, it might happen that if a user goes to Myntra and are redirected towards App store; they might just go to Amazon because they have a website on mobile. After going ‘app-only’, the next big trend is ‘offline-first’ i.e. customers can still check the products/ services even if there’s no internet connection. M-Indicator has implemented this keeping in mind their target users. Music apps such as Gaana, Saavn also have an option to take the music offline. The idea used here is to sync, not to store. The data is synced between phone storage and app’s server which makes it convenient for the users. Many developing nations like India where internet connectivity is fluctuating, going ‘offline-first’ has its perks. In the cluttered app-market eco system, it’s becoming increasingly difficult to convince users to download brand specific apps. The future of internet is definitely push-based, which means instead of we going to the brands, brands will come to us, on our screens to offer their products and services. But for how long will India have to go through basic infrastructure issues till we get push-based internet? ask. Does operating a well-established website such as yours require a large amount of work? I am brand new to blogging but I do write in my diary every day. you have any suggestions or tips for new aspiring bloggers. I simply want to tell you that I’m new to blogs and actually liked this web site. Most likely I’m going to bookmark your site . You definitely come with outstanding posts. Regards for sharing your blog. Thanks a lot for your encouraging words! I simply want to tell you that I am just all new to blogging and site-building and truly liked your web blog. Most likely I’m want to bookmark your site . You actually come with exceptional articles and reviews. With thanks for sharing your blog site.